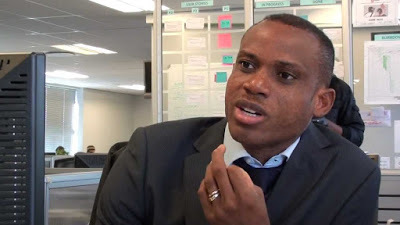 Following the impromptu sack of embattled Super Eagles coach Stephen Okechukwu Keshi; the one fans and foes alike fondly refer to as ‘’Big Boss’’, Nigerian Football Federation (NFF) have confirmed the appointment of Sunday Oliseh as the new man in charge. Oliseh a former captain of the Super Eagles just like erstwhile Boss Stephen Keshi was a defensive midfielder for the Super Eagles, fans would always remember him for his two venomous long range strikes that earned him accolades at various tournaments. Sunday Oliseh also had an illustrious career that spanned from Ajax AFC in Holland to Juventus in Italy and down to Borrusia Dortmund in Germany. In 2004 he was sacked by Dortmund for that infamous punch on Vahid Hashemian while playing on loan at VfL Bochum. He retired in 2006 after playing for Belgian Club KRC Genk. Theoritically Sunday Oliseh comes with a lot of promise, having acquired UEFA’s Pro Coaches License which is one of the highest and most respected coaching qualifications in the world, UEFA ''A'' (Advanced) Coaches Diploma, UEFA ''B'' (Basic) Coaches Diploma, and since 2013 has been a member of FIFA’s Technical Study Group. Oliseh is known to be strong willed and passionate, a trait which had never endeared him to the Nigeria Football Administrators in the past and had been a stumbling block in previous attempts to clinch the top coaching job. He is eloquent and has a sound football mind, he understands the game of football. However, his lack of practical experience in football management has been his brief stint with semi-professional football club, RCS Verviers and a period coaching the Youth team of RFC Liege in Belgium. This is the area that has kept many football lovers uncomfortable and is the factor which has left many guessing at this swift but contentious appointment by the NFF. Much as we would love Oliseh to succeed as coach, he is very much a green horn on the technical bench with just his knowledge and determination going for him. 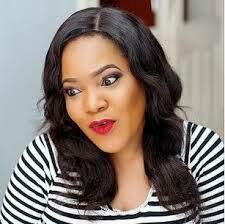 Only time will tell if the trust and confidence placed on him by the Amaju Pinnick led NFF board. It is also important to applaud the decisiveness of the NFF board in making such a prompt decision on the coaching appointment barely 24hrs after sacking Stephen Keshi, this was a clear departure from the usual fanfare and media blitz such an exercise would have engendered in the past. Rumours would have been rift and intrigues played out in the cause of such selections in the past. This time around it was handled with dispatch and decorum despite Amaju Pinnick been away in faraway Canada for the President Amaju Pinnick was in Canada at the FIFA Women's World Cup, Seyi Akinwunmi and Shehu Dikko his Vice Presidents, were in Lagos and Abuja, respectively. Yet they promptly agreed on criteria and decided on Oliseh, commenced discussions immediately and reached an agreement with 24hrs. Oliseh met with NFF boss Pinnick in London on Monday were the agreement was finalized. Nigeria seems to have a more professional and proficient Football Administration under the leadership of Amaju Pinnick and it is our hope that Sunday Oliseh would be able to show his true worth with the active support of NFF. Oliseh takes up the job with Jean Francois Losciuto, a Belgian who also holds a UEFA license as assistant coach. His proposed job description includes a mandate to draw up a five-year development plan for the restructuring of the game in Nigeria. He will work with local coaches to draw up policy and a homogenous playing philosophy for Nigerian football at all levels.